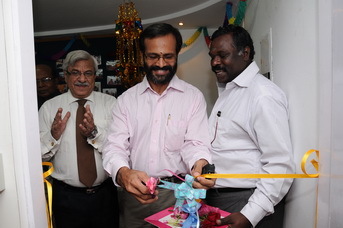 AscendersTech had the greatest pleasure of inaugurating the new premises this morning at 6, B Wing, III Floor, Parsn Manere, Annasalai, Chennai – 600006. 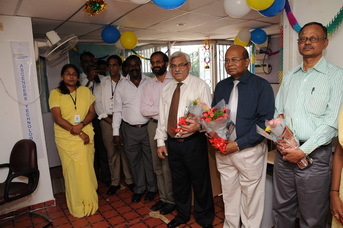 We have expanded our operations and consequently inaugurated our second facility in Parsn Manere. 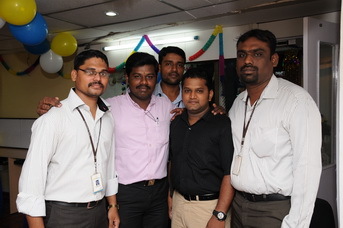 In a lively function attended by dignitaries and customers, Ascenders renewed its pledge to continue to provide quality support to its customers. 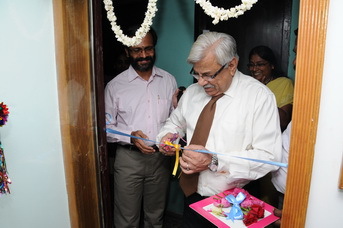 The new facility was inaugurated by Mr. Lalit K. Sikri Dy. 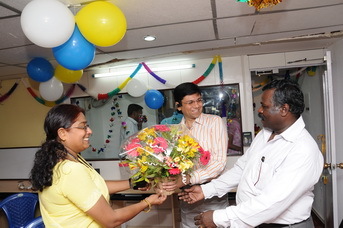 GM, Union Bank of India and Mr. Mahesh Manchi, C.I.O., Mahindra Holidays & Resorts Group. 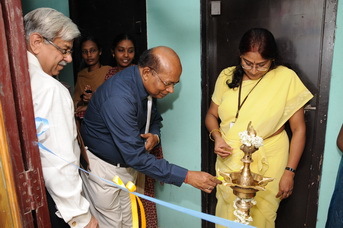 After lighting the traditional lamp and cutting the ribbon, Mr. Lalit Sikri congratulated Ascenders Technologies and wished them more and more success. He further mentioned that Ascenders Technologies was doing extremely well, and assured that Union Bank would continue to be a strategic partner in our growth. 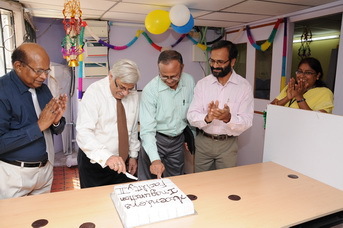 Mr. Mahesh Manchi wished the Ascenders all success, and congratulated Dr. K Thirugnanam, CEO & Founder of Ascenders Technologies on the expansion. 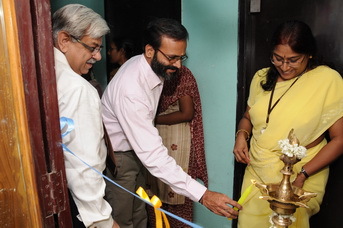 Mr. Mahesh Manchi further mentioned that Ascenders is doing exemplary work and assured continuous support. All the Ascenders gathered around and took an active and voluntary part in the organization of the function.